Whether you are buying for the first time, purchasing an investment property or refinancing, this is one of the most important financial decisions you will make. Sure you can go on-line and apply for a loan with one of the “category killers” but where is personal expert guidance and representation that would help in making an educated decision? Personal attention and professionalism is still preferred when making important mortgage financing options. Bachman Lear has been assisting consumers from the Panhandle to the Keys for over 35 years, in fact three generations of Florida Home Buyers! The consumer deserves to be offered choices, the best options for your unique situation. And the different financing options that are available. Origination Fees vs No Origination Fees. Closing Costs vs No Closing Costs. What would best fit your needs? Thoughts to consider would be length of ownership of the property, closing costs are not always tax deductible whereas the interest in your mortgage payment is. Also to consider how long do to you plan on keeping the mortgage? Is an early payoff in the near future possible? Of course there will be additional items requested based on the individual applicant and the specific loan program requested. Credit Score, Income, Debt & Down Payment or in the case of a Refinance the Equity in the property. Anyone of these items could impact you securing the mortgage amount, the interest rate and the loan program that you are requesting. Qualifying for a mortgage today can take between 30 to 45 days. And can be stressful because there are so many active parts to the transaction. A few good rules (The Do’s and the Do Not’ s) can help to get you through the loan process. Do not change jobs or become self-employed or quit you’re your current position. Do not make any major purchases or leases during the application. Do not use your credit cards excessively, and make your payments timely. Do not spend the money that is to be used for your Cash to Close. Do not change bank accounts or move money around between accounts. Do not stop making your current mortgage payments. Do not make any large deposit or withdrawals without telling the loan officer or loan processor. Do not let any other entity pull your credit until your loan closes. Review your loan application closely for correct addresses, phone numbers and email addresses. Also include your cell phone number. 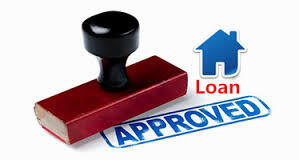 ​Why is it important not to make changes once you have made a loan application? All changes must show a paper trail and have a letter of explanation, and this will slow down the underwriting process and could add conditions to your loan approval. So be forewarned and refrain from make changes during the loan process.